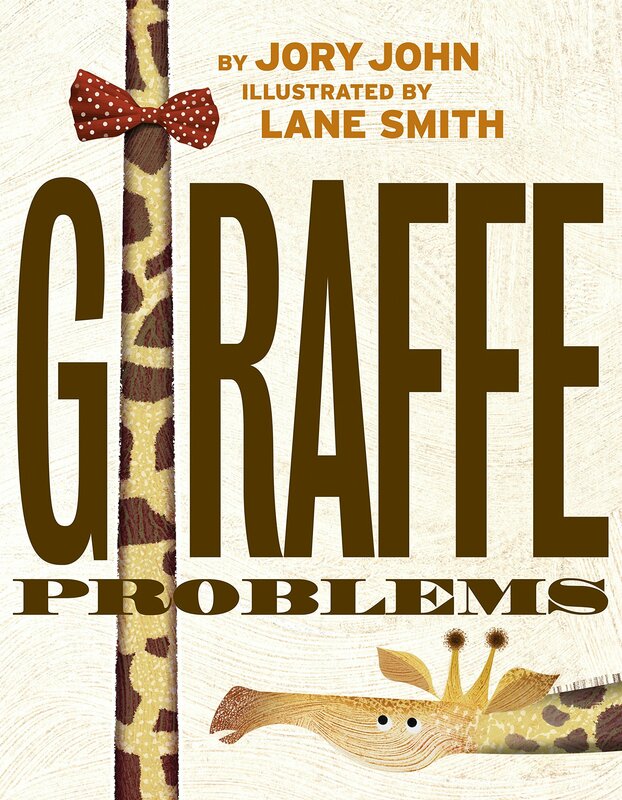 Summary: Brought to you by the team that produced Penguin Problems, this book features a giraffe named Edward who doesn’t like his neck. It’s too long, too bendy, too patterned, and a host of other problems. He’s sure everyone is looking at him and tries to hide his neck with scarves and ties, or by standing behind tall rocks. 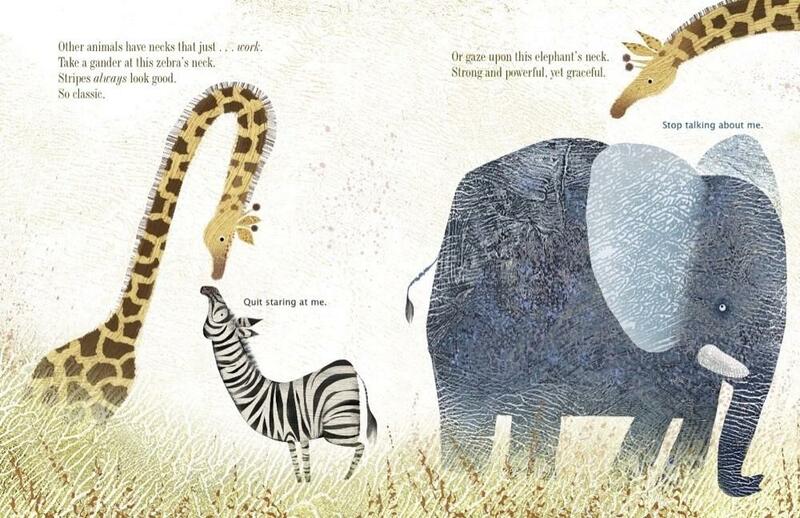 He admires the necks of others, like the classically-striped zebra or the heavily-maned lion. 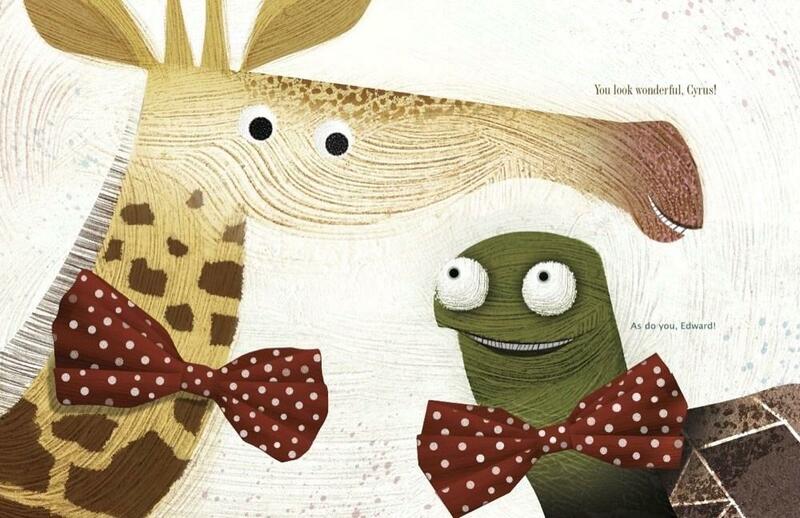 A turtle named Cyrus overhears him, and tells him how fortunate he is to have such a long and beautiful neck. Cyrus has been trying to get a banana off a tree for a week; when he tells Edward, Edward is able to reach it in a matter of seconds. The two admire each others’ necks, and end up feeling a lot better about themselves, even highlighting their necks with bow ties. 42 pages; ages 4-8. Pros: There’s still plenty of humor, but a little more of a message here than there was in Penguin Problems. The multimedia artwork is eye-catching and could be worked into a less on patterns. Cons: I read this book to two boys who I thought would find it hilarious. They seemed to enjoy it, but never laughed. It’s kind of a dry sense of humor, so some of it may be lost on the young.